Preheat oven at 170° C and grease a square tin with oil or butter and line with parchment paper. In a bowl sift together all purpose flour, cocoa powder, baking soda and mix it well. In another bowl take butter, powdered sugar, vanilla extract and beat for a minute or till its light and fluffy. Next add eggs, one at a time and beat for few seconds after every addition. Now add the dry ingredients to the wet ingredients in batches and mix till well combined and form a smooth lump free batter. At last add chunks of dark chocolate and mix well. Pour the brownie batter in greased tin and bake at 170°C for 30-35 minutes. Once done check with a help of a toothpick, if it comes out clean the brownie is perfectly baked. Now for layering in a bowl take chopped dark chocolate. Heat a cup of heavy cream in a pan for few seconds till it is slightly warm. Mix well till smooth and well combined. Chop few pieces of strawberries. 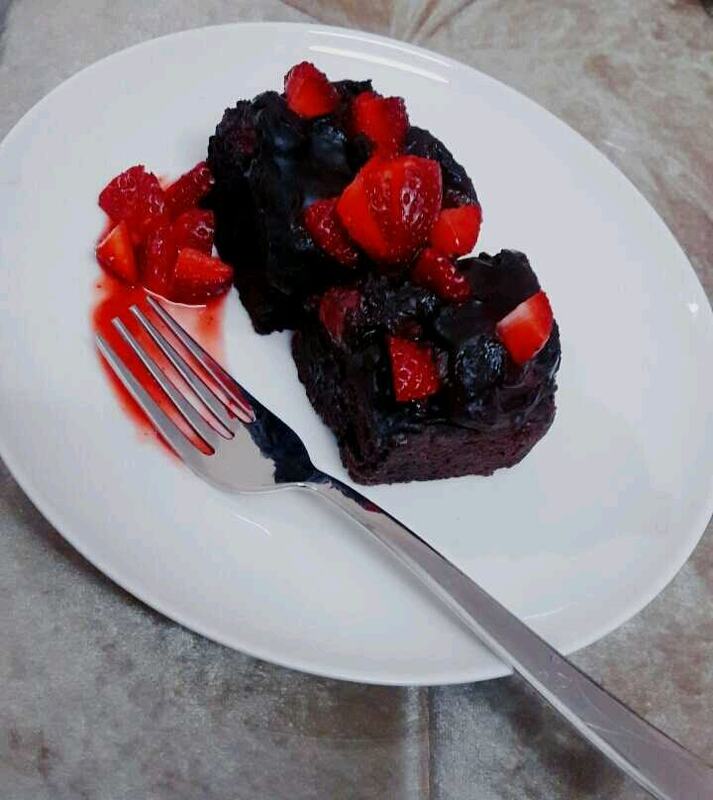 Now spread chopped strawberries over brownies. Keep it in refrigerator for 5 minutes so the top layer is set nicely. 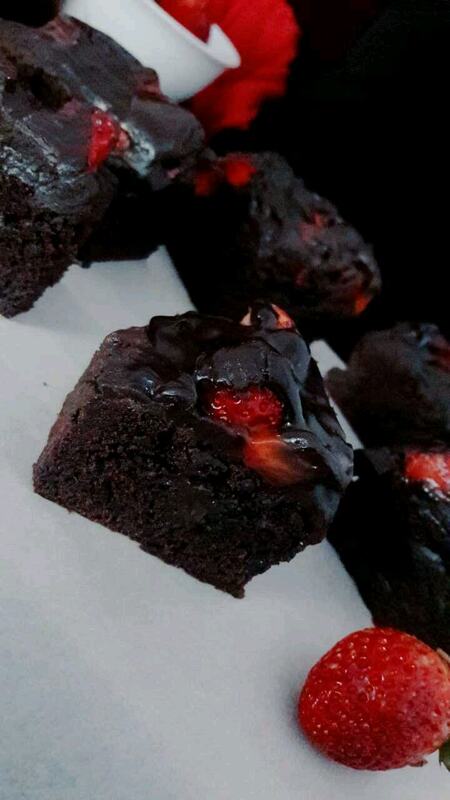 Take it out cut in pieces and serve delicious strawberry covered chocolate chunk brownies.